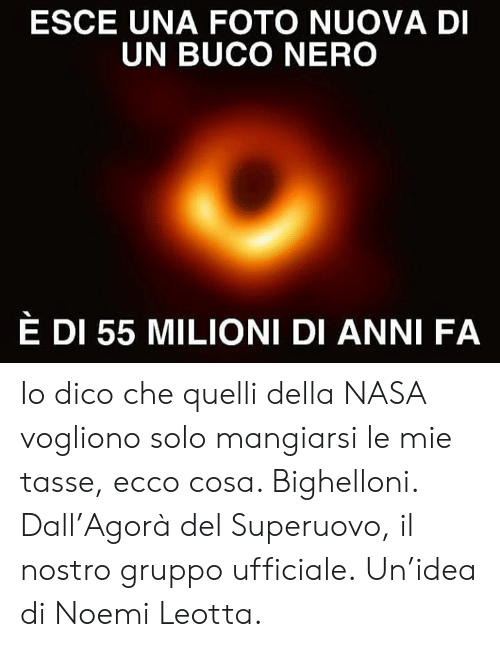 Nasa, Italian (Language), and Nero: ESCE UNA FOTO NUOVA DI UN BUCO NERO E DI 55 MILIONI DI ANNI FA Io dico che quelli della NASA vogliono solo mangiarsi le mie tasse, ecco cosa. 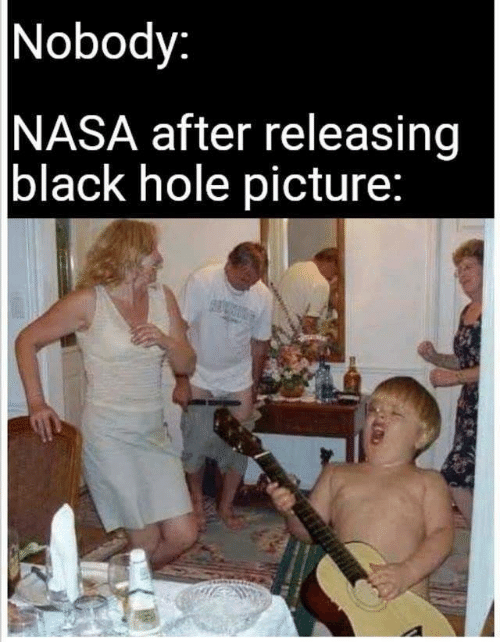 Bighelloni. 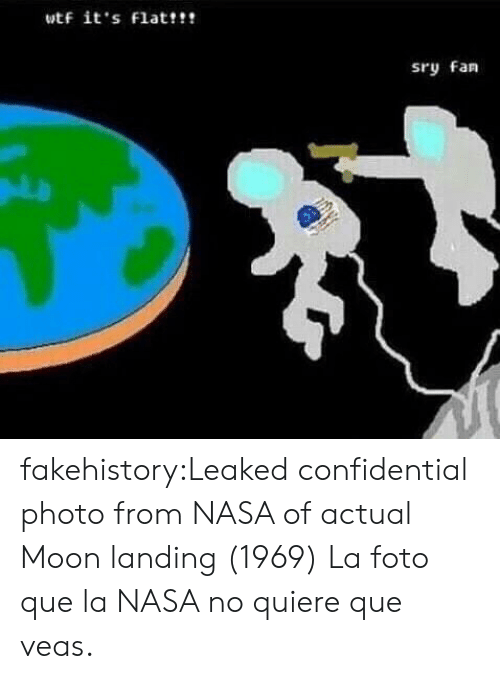 Dall’Agorà del Superuovo, il nostro gruppo ufficiale. 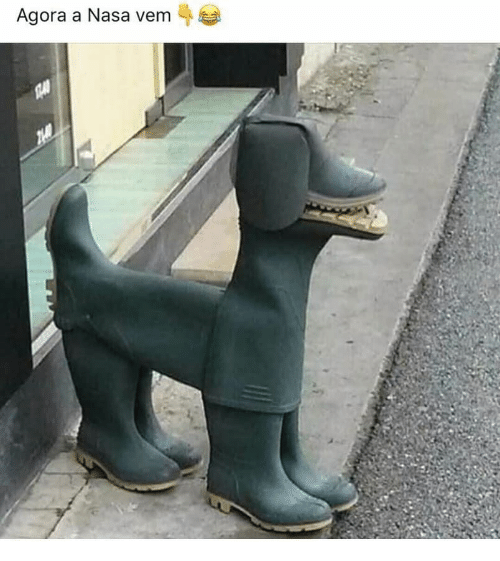 Un’idea di Noemi Leotta. 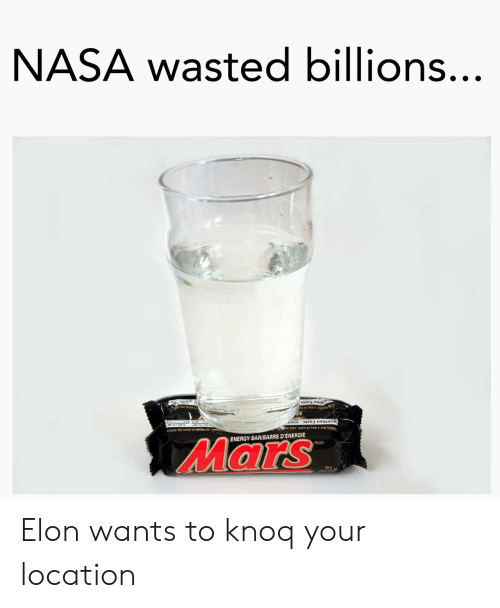 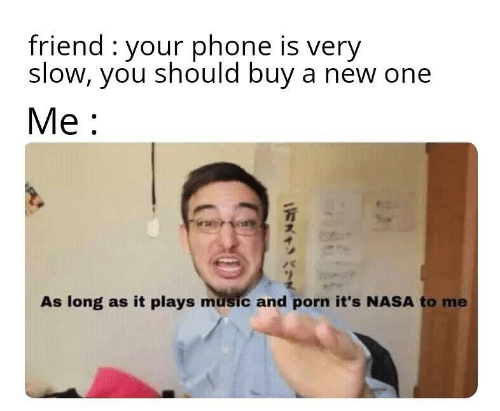 Facts, Memes, and Nasa: Diply FACTS!! 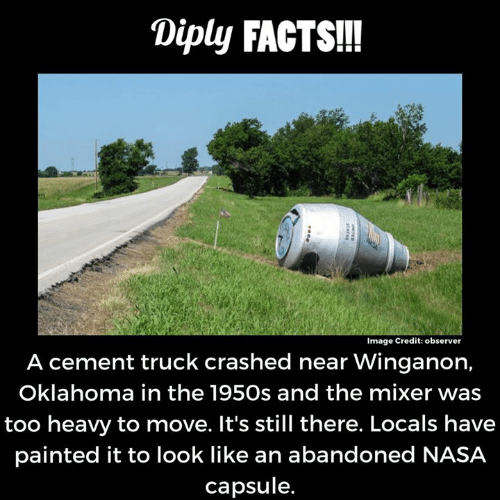 Image Credit: observer A cement truck crashed near Winganon, Oklahoma in the 1950s and the mixer was too heavy to move. 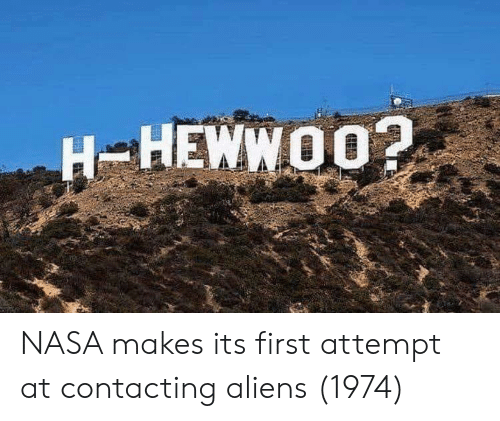 It's still there. 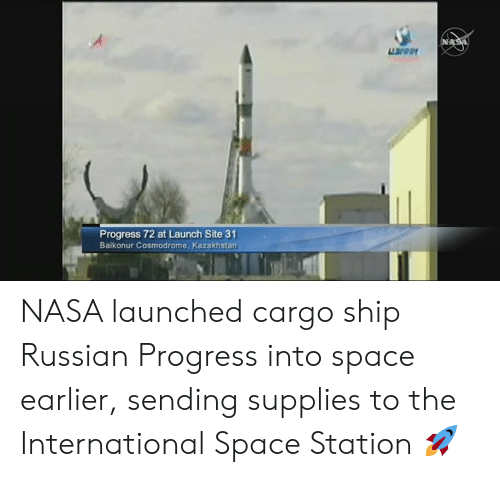 Locals have painted it to look like an abandoned NASA capsule. 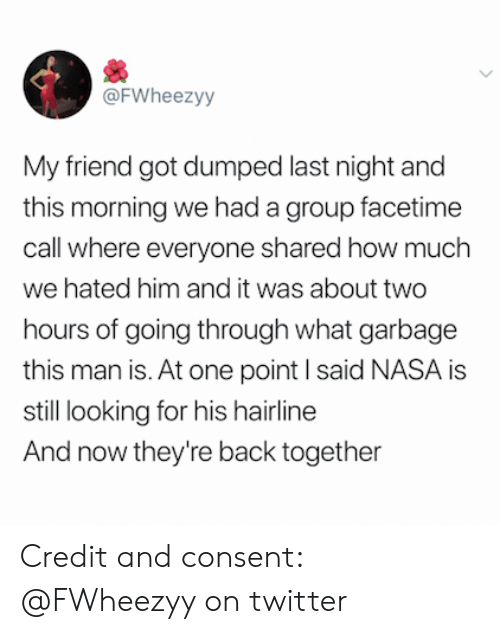 Makeup, Memes, and Nasa: NASA History Office @NASAhistory Sally Ride: "The engineers at NASA, in their infinite wisdom, decided that women astronauts would want makeup so they designed a makeup kit... You can just imagine the discussions amongst the predominantly male engineers about what should go in a makeup kit." 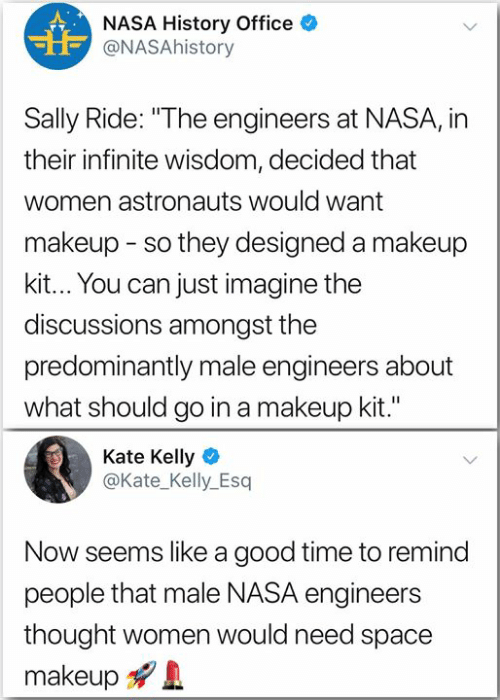 Kate Kelly @Kate_Kelly_ Esq Now seems like a good time to remind people that male NASA engineers thought women would need space makeup 가! 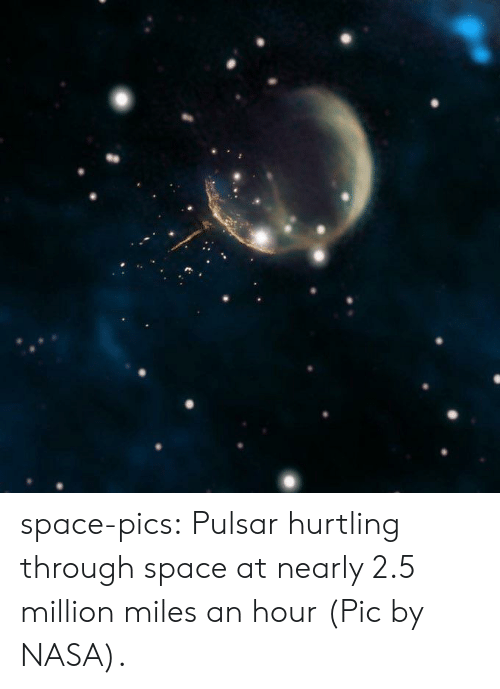 Nasa, Tumblr, and Blog: space-pics: Pulsar hurtling through space at nearly 2.5 million miles an hour (Pic by NASA). 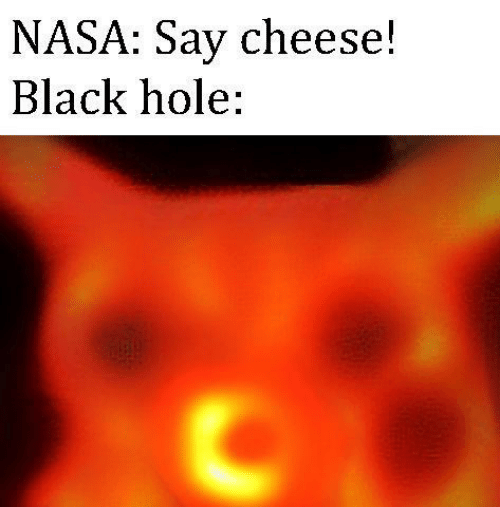 space-pics: Pulsar hurtling through space at nearly 2.5 million miles an hour (Pic by NASA). 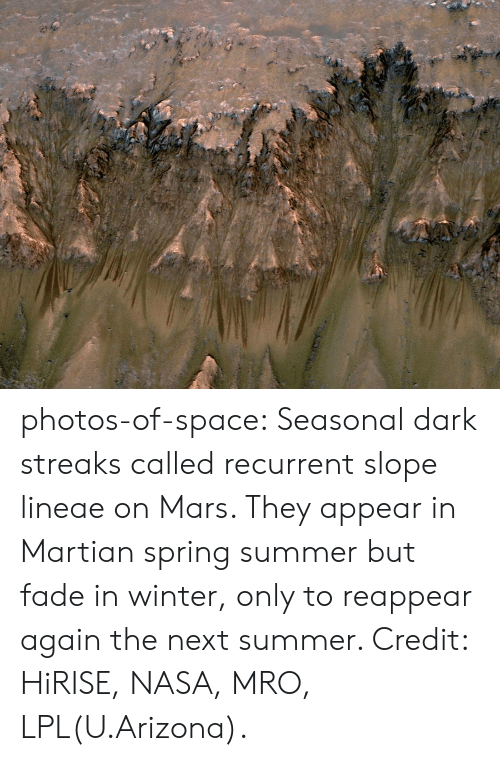 Nasa, Tumblr, and Winter: photos-of-space: Seasonal dark streaks called recurrent slope lineae on Mars. 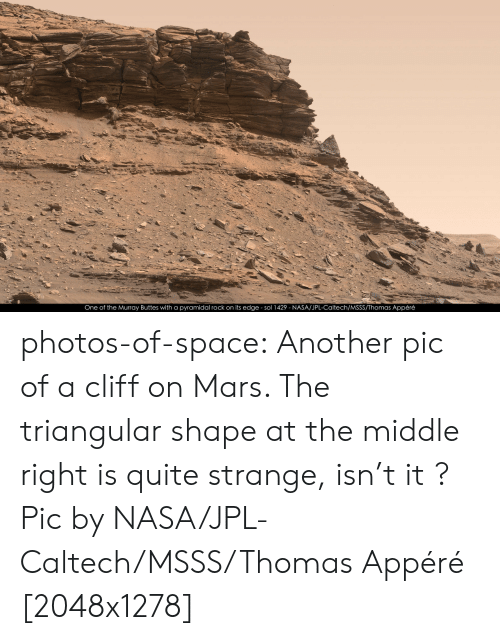 They appear in Martian spring summer but fade in winter, only to reappear again the next summer. 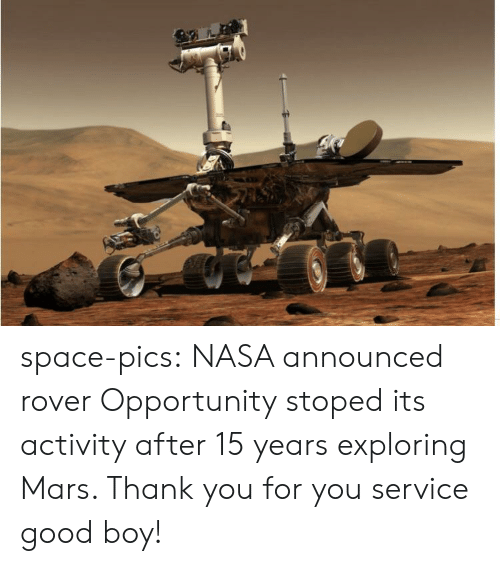 Credit: HiRISE, NASA, MRO, LPL(U.Arizona). 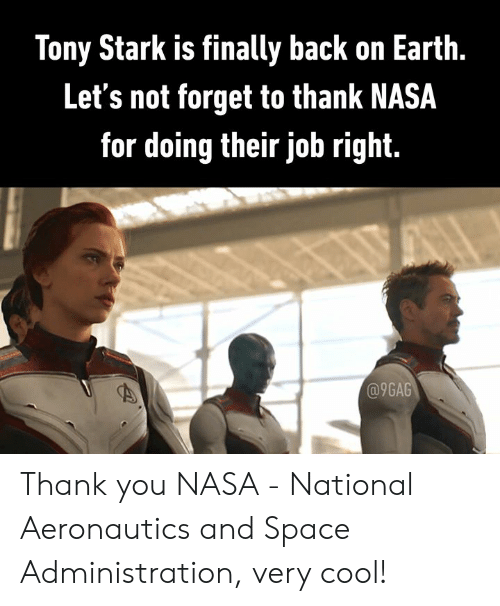 9gag, Dank, and Nasa: Tony Stark is finally back on Earth. 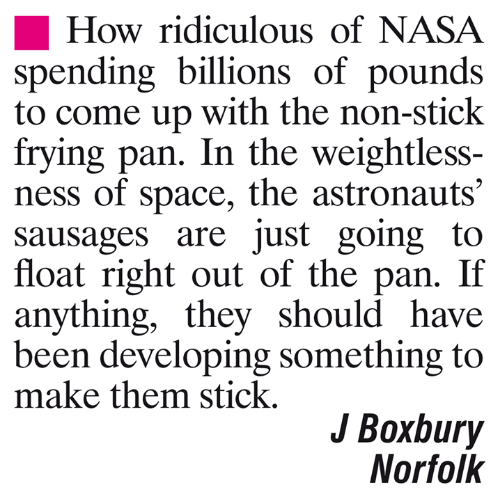 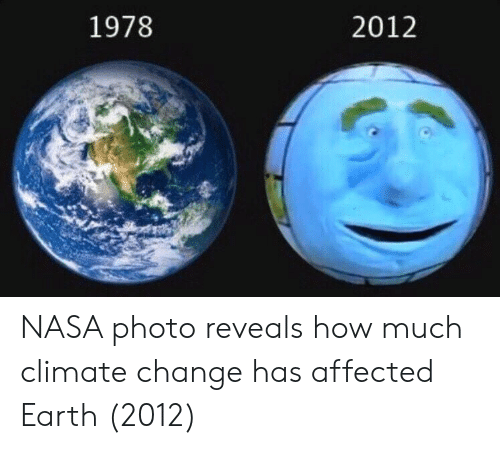 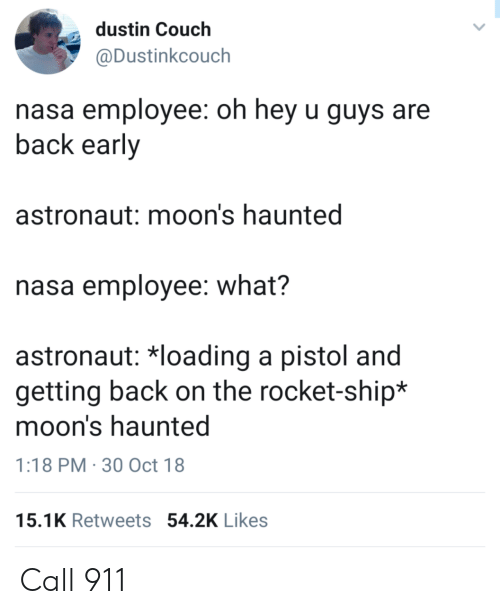 Let's not forget to thank NASA for doing their job righit. 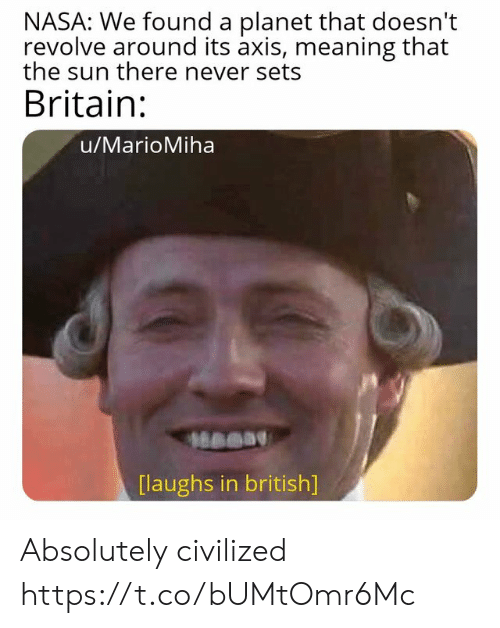 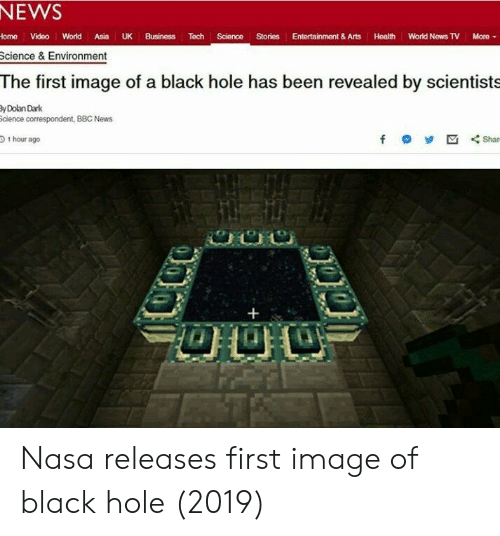 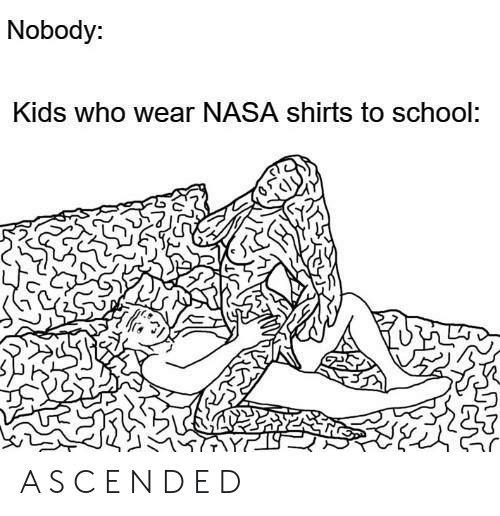 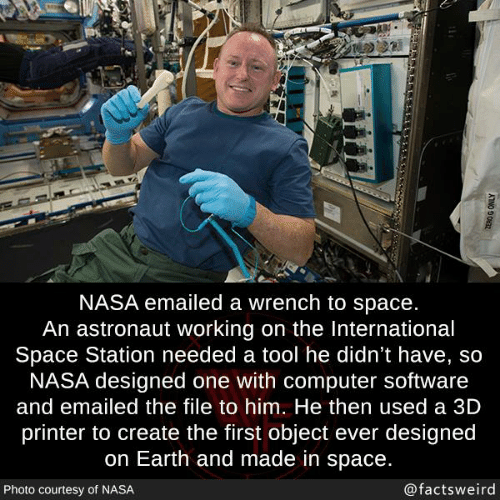 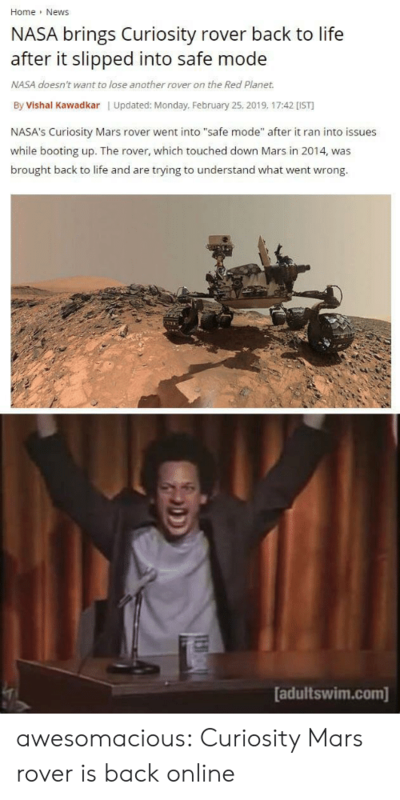 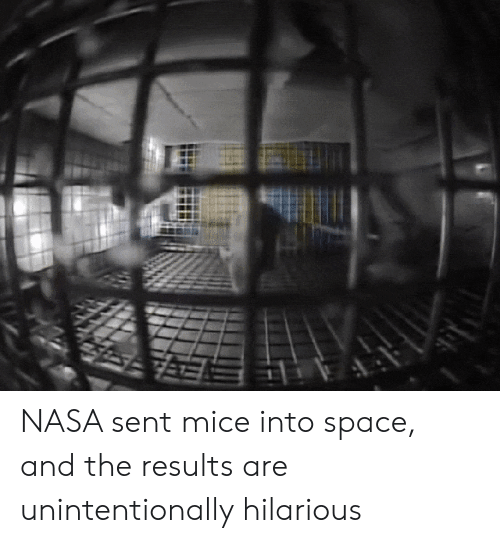 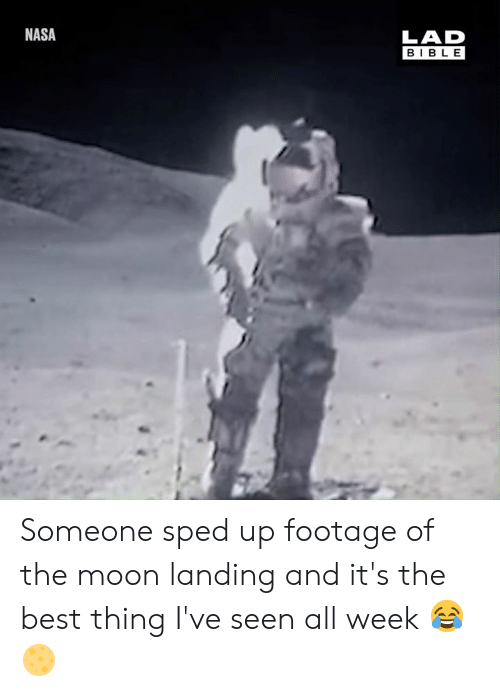 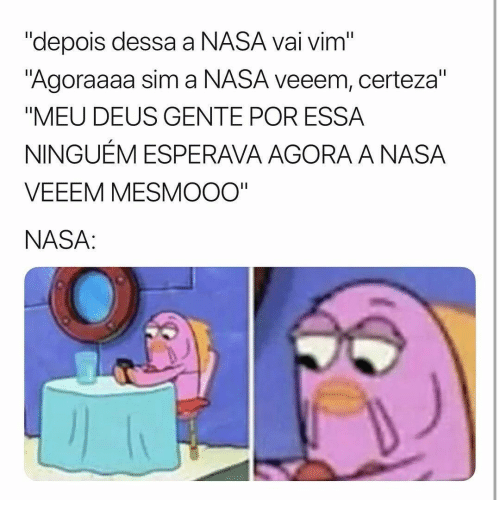 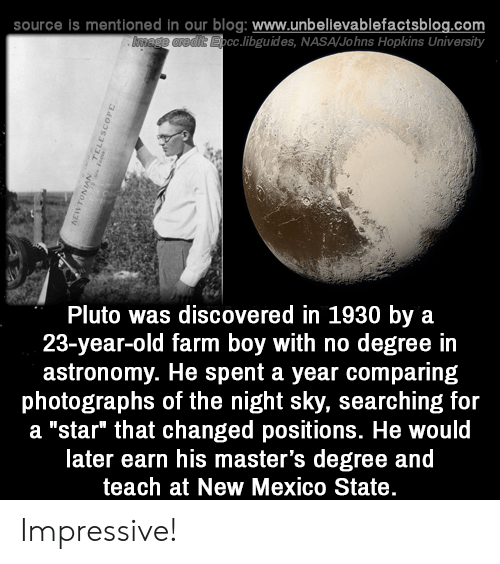 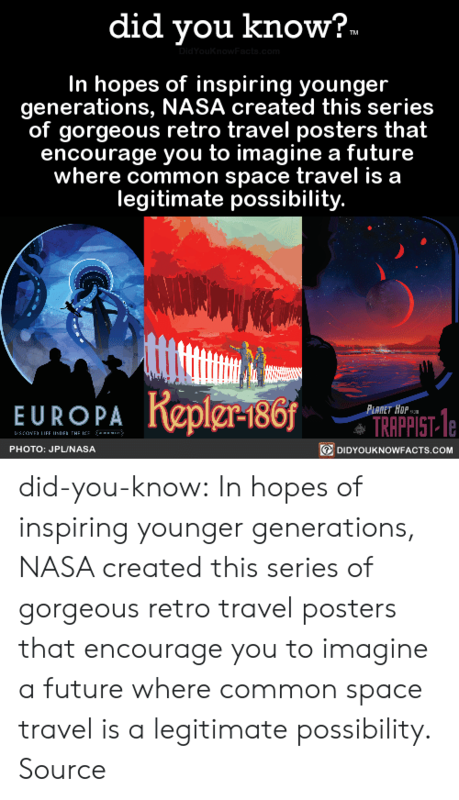 @9GAG Thank you NASA - National Aeronautics and Space Administration, very cool! 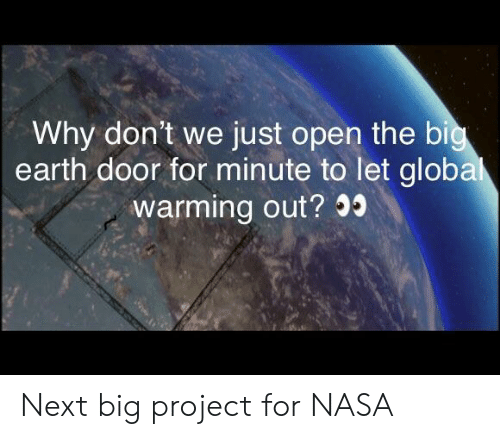 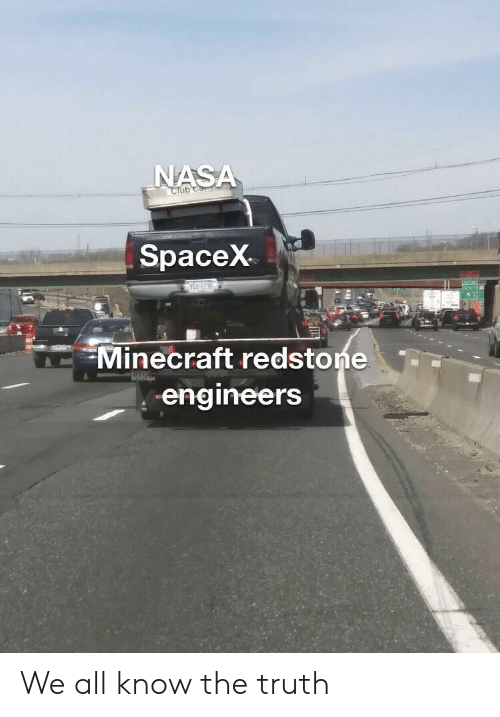 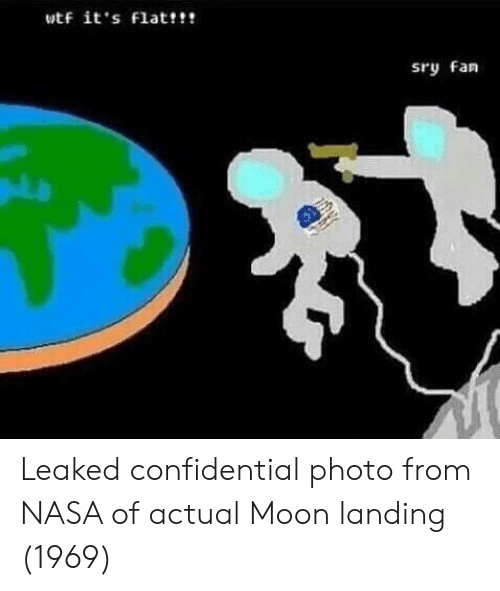 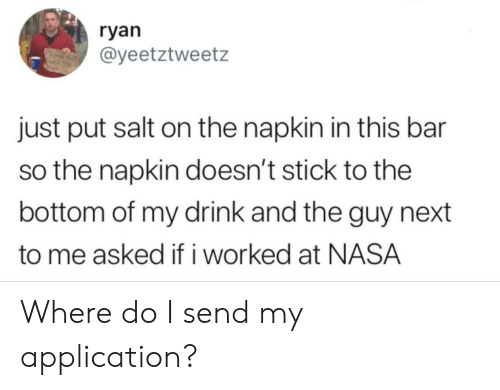 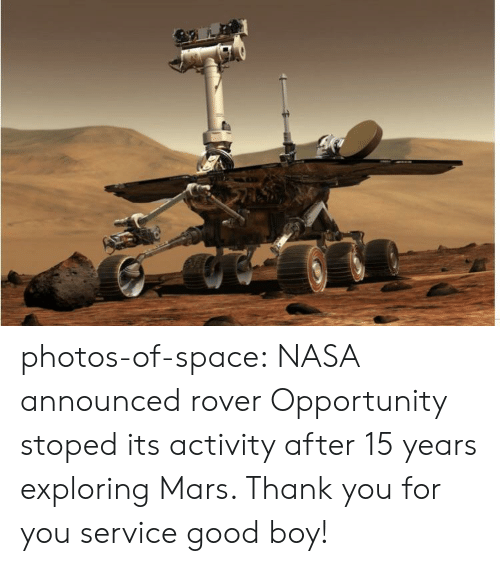 Thank you NASA - National Aeronautics and Space Administration, very cool! 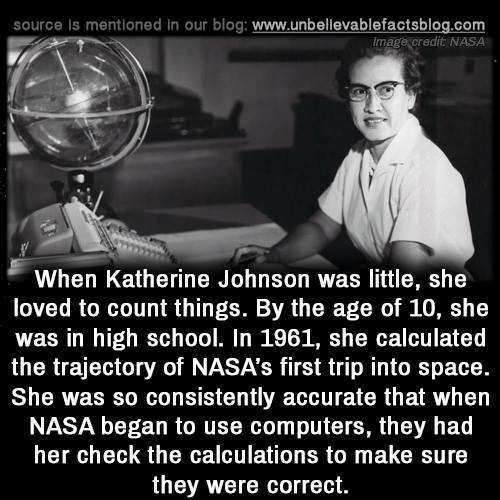 Computers, Memes, and Nasa: source is mentioned in our blog: www.unbellevablefactsblog.com Image credit NASA When Katherine Johnson was little, she loved to count things. 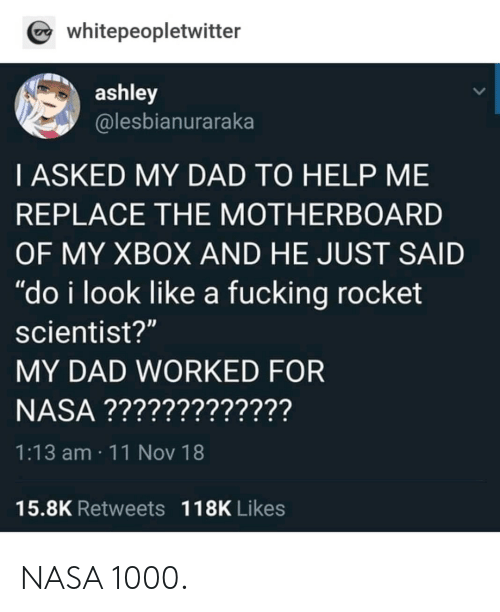 By the age of 10, she was in high school. 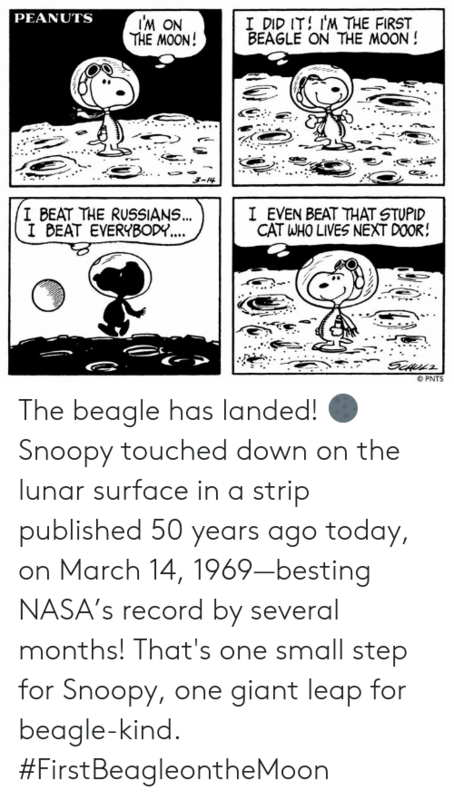 In 1961, she calculated the trajectory of NASA's first trip into space. 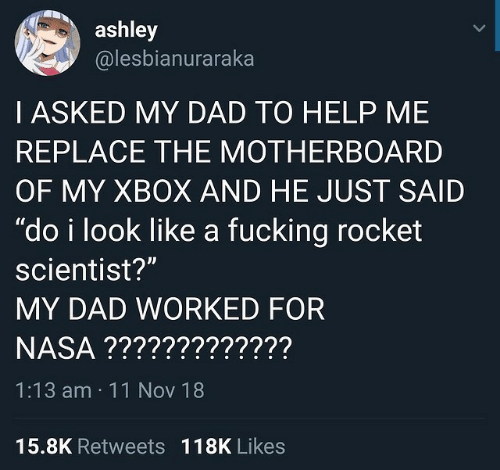 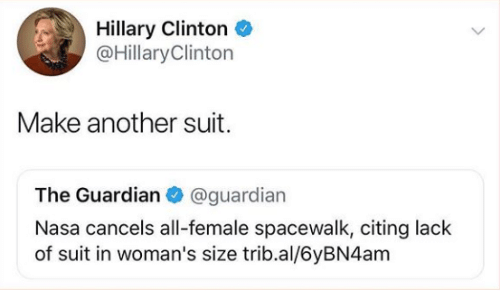 She was so consistently accurate that when NASA began to use computers, they had her check the calculations to make sure they were correct. 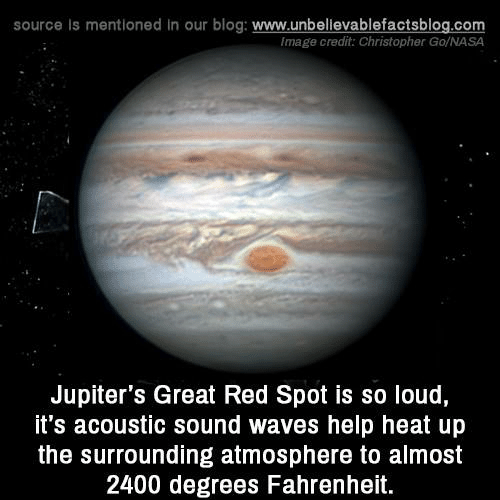 Memes, Nasa, and Waves: source Is mentioned in our blog: www.unbellevablefactsblog.com Image credit: Christopher Go/NASA Jupiter's Great Red Spot is so loud, it's acoustic sound waves help heat up the surrounding atmosphere to almost 2400 degrees Fahrenheit. 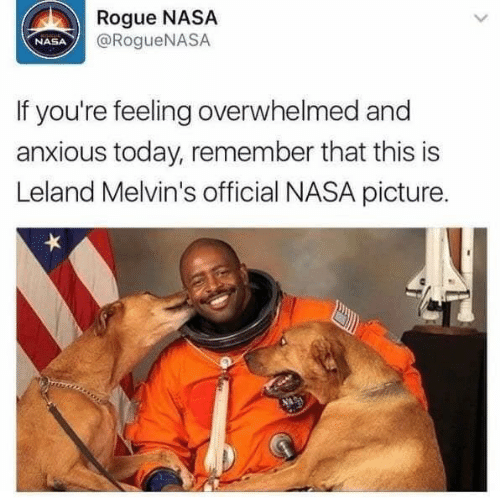 Nasa, Rogue, and Today: Rogue NASA @RogueNASA NASA If you're feeling overwhelmed and anxious today, remember that this is Leland Melvin's official NASA picture.